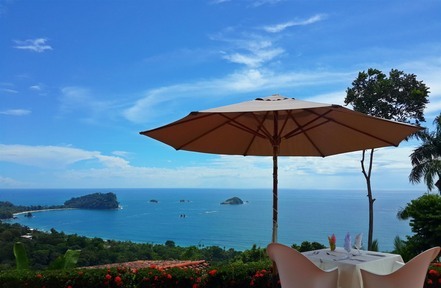 Hotel La Mariposa is an award-winning accommodation best known for its stunning 360-degree views of the Pacific Ocean, Manuel Antonio National Park, and surrounding tropical vegetation. With its Spanish-Mediterranean architecture and 43 well appointed rooms, La Mariposa is magnificent, yet intimate. 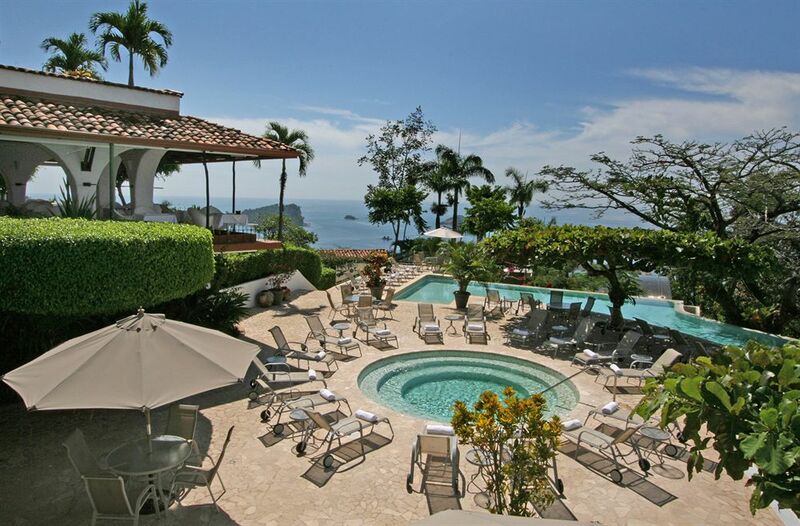 Hotel La Mariposa offers the discriminating traveler Penthouse with its own private Jacuzzi, Villa Suites and Deluxe rooms, all fully air conditioned, each overlooking the panorama of Manuel Antonio National Park. Many unspoiled, palm-fringed beaches await you, with the luxuriance of a Costa Rican rain forest a few short minutes away. Fine dining at its restaurant, “Le Papillon”, featuring panoramic vistas and renowned haute cuisine. The PERFECT romantic getaway. 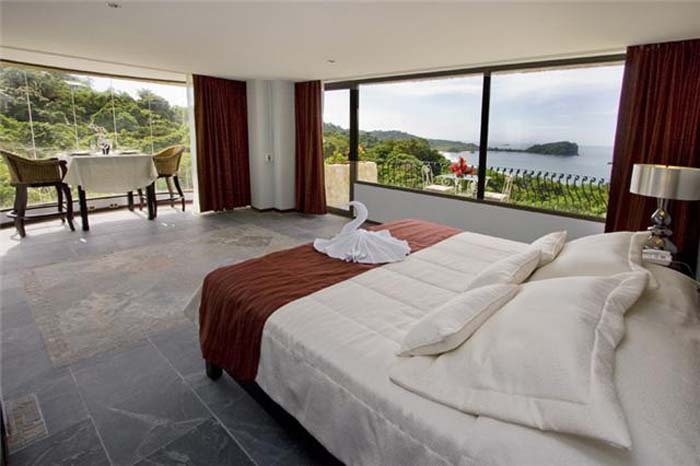 Panoramic views of beach and rainforest. Spectacular sunrises and sunsets. Very spacious rooms with sitting area, king-size bed and state-of-the art jacuzzi on a garden view terrace.